Grill and Smoker manufacturers are taking advantage of many of the latest advances in technology today. 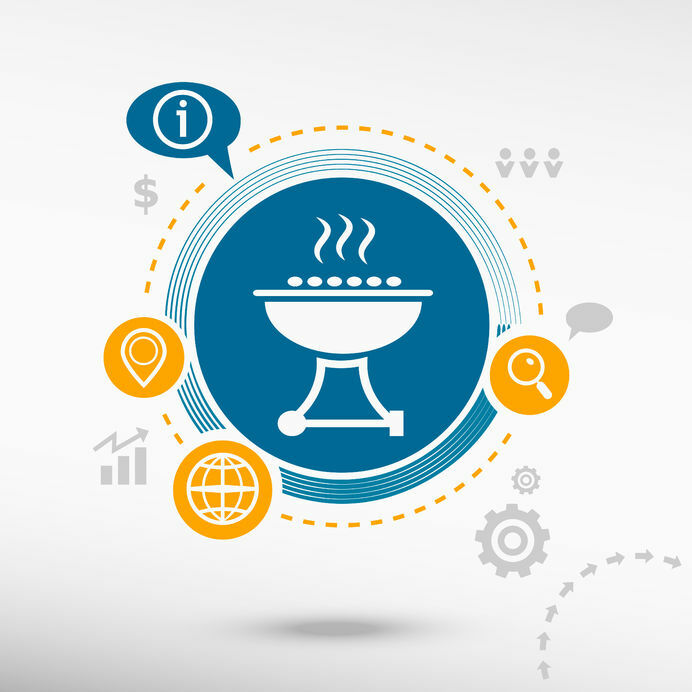 Similar to the evolution in mobile devices, WiFi and other hi-tech features are now being incorporated into Grills and Smokers. This new technology is great for addressing several of the most significant problems that people usually face with outdoor grilling. With that being said, manufactures are now providing the technology that is needed to address certain matters of convenience. For instance, instead of the cook having to stand out doors in the rain to make sure the barbecue does not burn, the new technology is allowing people to check on their meat remotely, including from the inside of their homes. Fortunately, the newest innovations for 2018 are addressing a wide variety of different concerns. So, for those of you who are interested in the latest inventions and its benefits, you should take a look at each of the smokers and grills provided for you below. 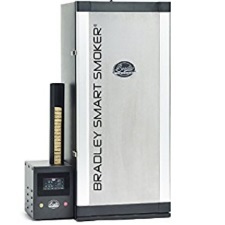 The Bradley BS916 Digital Blue-tooth Smoker has been designed with several different purposes in mind. The manufacturers of this product have obviously considered the feedback from regular users of today’s smokers, and they have filled in the gap by providing a total new extended experience. One in which combines the old smoker concept of cooking meet with the latest smart technology. 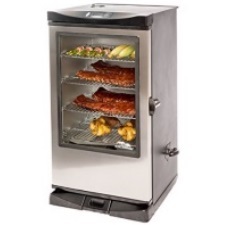 The Smoke Hollow 36” Digital Smoker is ideal for people who want to cook all night for all of the fun outdoor holiday, but do not want the unnecessary hassles of overcooked and under cooked meat problems that can easily wreck a perfect day. 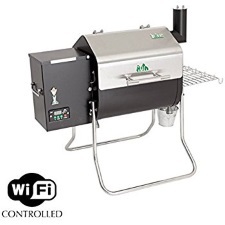 With this new electronic digital controlled smoker, everyone who is assigned with these duties can cook their favorite barbecue dishes with perfection every time. The Masterbuilt 40” Front Controller RF Remote Smoker has been designed with both the pros and the beginners in mind. 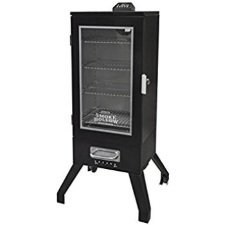 It does not matter if it is a small dinner with friends and family or a competition being held among friends, this technologically advanced smoker has everything that cooks need to do their very best. No more problems with propane or charcoal and the hassles that comes along with using them, especially since it is designed with electronic systems that makes it easy. 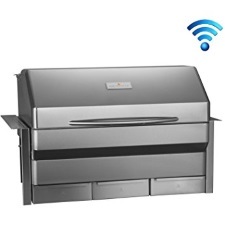 The Memphis Grills Elite WiFi 39” Built-In Grill has many different innovative features that can be used by anyone who like good barbecue every once in a while, or on a regular basis. It has been designed with smart technology that gives users the capability to grill, while also taking care of other important issues around the home. Since it has been built with high tech Wi-Fi functionality, cooks have the freedom to control this grill remotely. So, they are not tied to the grill for several hours until the meat is completely done. Comes with even heat distribution along with efficient pellet burn capabilities because it has been made with double wall construction and a dual convection fan. With WiFi capabilities, its unmatched by other grills in the industry. Users can also take advantage of a mobile app that allows them to both monitor and adjust food temperatures as needed. Users can take advantage of email and text alerts by taking advantage of mobile smart technology features. Constructed with an advanced circulation system that has been designed to eliminate hot spots, while also speeding up the grilling process. The Green Mountain Grills Davy Crockett Pellet Grill can be described as the ultimate in portable grills. This is because it is packed with the latest smart technologies that will not only make it a good buy, but also one of the best experiences in grilling for family and friends. Just like mobile is now the in thing, it also has mobile features that takes advantage of Android application, WiFi. With all of these features, this technology has been developed to make it Convenient for tailgating parties, camping ventures, hunting, music festivals, house boating and any other activities that people can celebrate with an outdoor barbecue. Manufactures have included Sense-Mate, which makes is the technology provides it with a thermal sensor. This thermal sensor helps to monitor grill temperature on a continuous basis. Hi-Tech Grills and Smokers are great for a number different reasons. Because manufacturers are using the latest innovations to meet various needs, grilling and smoking is being taken to a completely new level. Just like other trends that says go mobile, this industry is also using the type of technology that allows cooks to move around much more freely. Particularly, because WiFi, and other innovations are making it much convenient to control grilling and smoking activities remotely from other places with the use of mobile apps.